Fr S$2xx K, DON’T MISS THE OPPORTUNITY ! Imagine the convenience of living right next to an MRT station in Central Bangkok. And being only two stations from both the existing Central Business District (CBD) and the upcoming new CBD. Only at Ideo Mobi Rama 4 will you be able to enjoy such convenience at an unbelievable unit price starting from only S$2xxk. Comprising of 486 apartment units, rising 36th levels towards the skyline, Ideo Mobi Rama 4 will consists of Studio, 1-Bedroom, 2-Bedroom and 3-Bedroom units. Construction is expected to begin 2018 and completion is targeted for 2020. 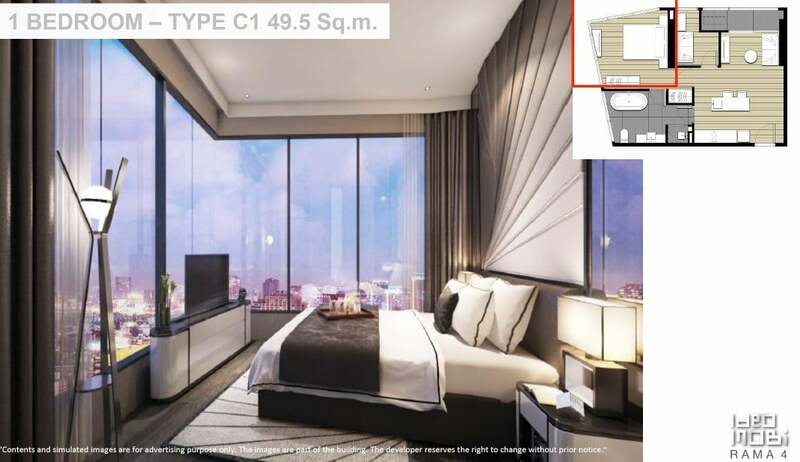 As a resident of Ideo Mobi Rama 4, you are strategically located within Central Bangkok’s modern conveniences, as well as within close proximity to the largest central parks in the city centre, Lumpini Park and Benjakiti Park. A number of embassies are located within the vicinity, and access to the best malls and offices at Asoke or Silom-Sathorn is a breeze with the MRT at your doorstep. 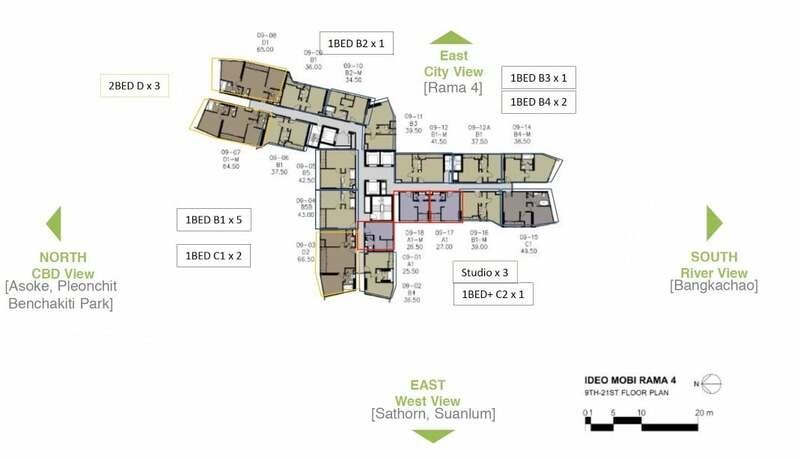 Located strategically between the two CBDs of Bangkok, getting to work from Ideo Mobi Rama 4 in either direction is simply a breeze. After work, there is always the option of entertainment, leisure and socialising activities at any of the dining and shopping options along the worldclass shopping belt from Siam to Sukhumvit nearby. When you come home from work or a day out, you will be welcomed with lush greenery at the Paradise Valley, a vertical garden in this bustling city. Be greeted with a lavish lobby lounge, where you can meet your loved ones or good company and have relaxing conversations to find out how each others’ day have gone. As the sun sets, take a dip in the cool blue waters of the lagoon pool and feel the tension of the day melt away. Or you might want to work out in the fully equipped indoor gymnasium of Ideo Mobi Rama 4 as you take in the bright lights of the evening city skyline. Take your views to greater heights at the Celestial Lounge on Level 36 of Ideo Mobi Rama 4 where you can enjoy views of Central Bangkok at its best. Pay Only 20% downpayment & balance upon T.O.P! Ideo Mobi Rama 4 comes with a concept design that is close to nature. At various floors are facilities such as the paradise valley, lush green lobby, the mountainside, the hideway lagoon pool and fit by the lagoon. 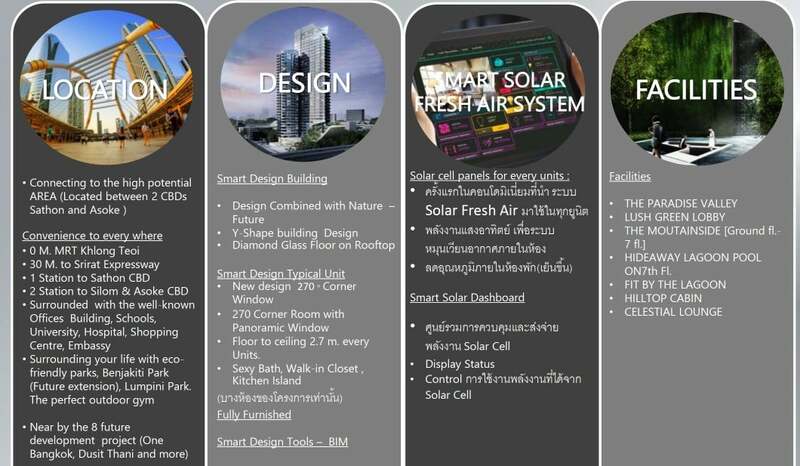 Inbuilt into units are solar facilities such as a smart solar dashboard and a smart solar fresh air system. At the roof of Ideo Mobi Rama 4 is the celestial lounge and hilltop cabin for you to relax and exercise in. Ideo Mobi Rama 4 is surrounded with well known offices, buildings, schools, universities, hospitals and shopping centres. Ideo Mobi Rama 4 can be described as being near 3 zones – office, health and shopping. In the office zone, nearby office buildings include Terminal 21, Ashton Asoke, PS Tower, Ratchphak Tower among many others. There is likely to be rental potential to expats who work in the area and want to stay nearby. There are also 17 embassies with a 17 minute drive, ranging from the US to Japanese embassies. Queen Sirikit National Convention Center is also a short distance away. In the health zone is the Lunpini Park. At 360 Rais, this is the biggest public park in the CBD. Following close is Baejakitti Park at 130 rais. There is also the Royal Bangkok Sport Club which will cater to foreigners who like to go to the races. With three international hospitals namely Chulanglongkorn hospital, BNH hostpial and Bangkok Christian hospital, totaling 2,513 beds, there is no lack of medical care facilities nearby. Nearby shopping facilities include the EM district (Emporium and Emquartier mall) and Terminal 21. 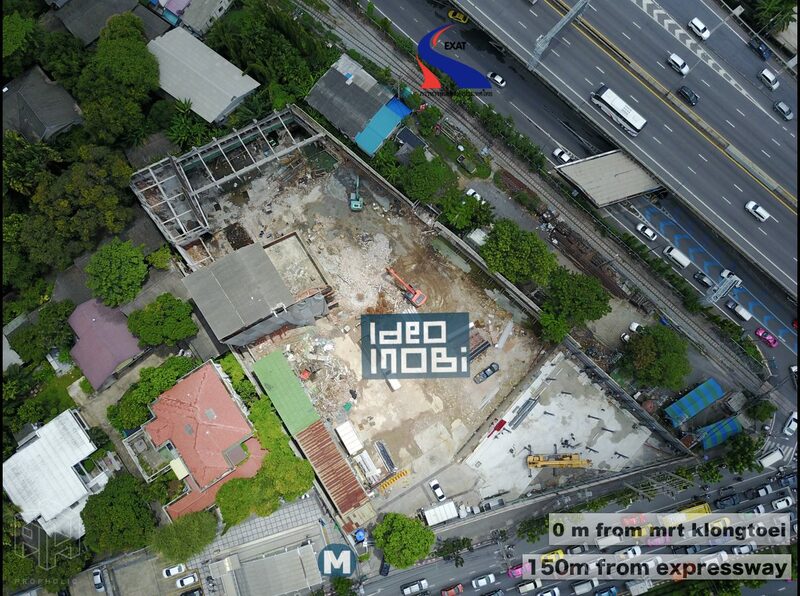 With new mega projects that are coming up, Ideo Mobi Rama 4 will be near a hub of bustling activity. There is the Langsuan Village completing in 2019. 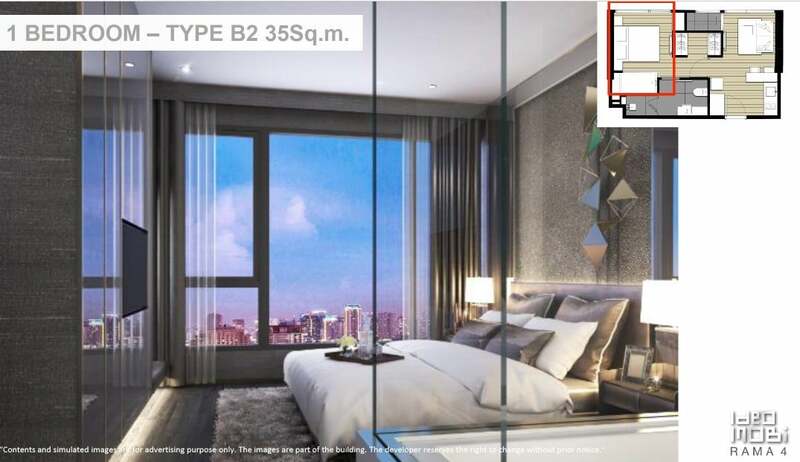 At a total area of 350,000 sqm and 23b THB of value, the project will have 6 condominiums, 3 serviced apartments, 1 hotel, 1 art museum, 1 health centre and a hallmark walking street. 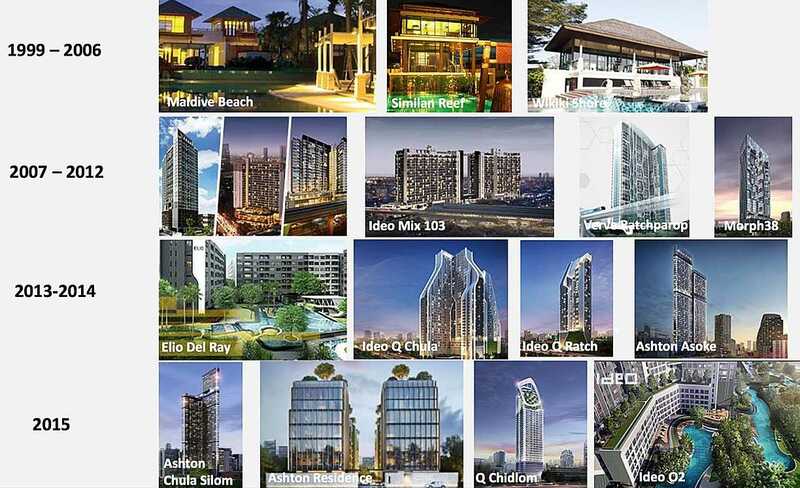 Dusitthani re-development will be done by 2020 with a total project value of 36.7b THB comprising of office buildings a department store, 5 star hotels and a number of residential condominiums. 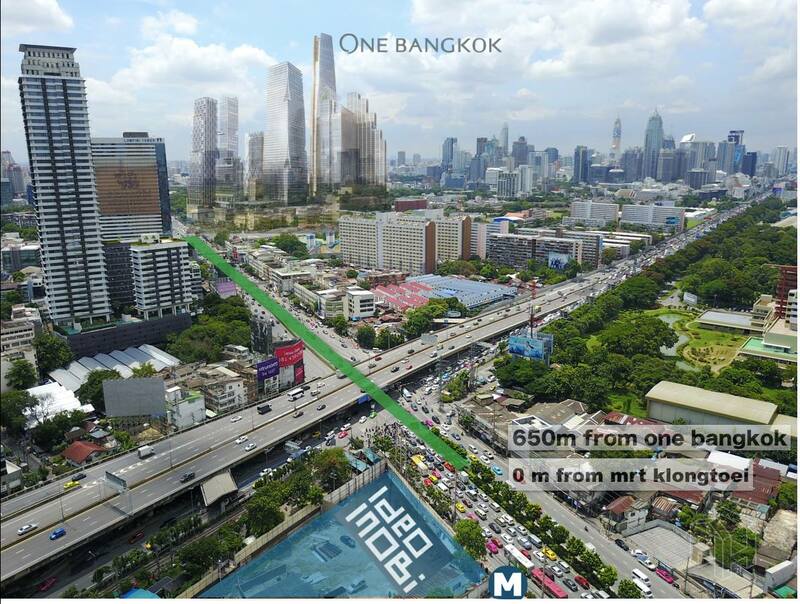 One Bangkok will be complete in 2021. 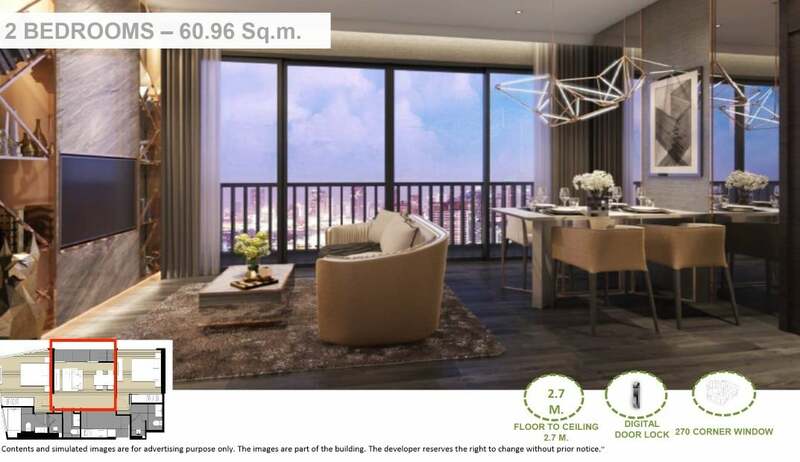 With 1.8m sqm of usable area and 123b THB of project value, One Bangkok will have 3 condominium buildings, 5 class A office buildings, 10,000 sqm of retail area, 5 5-star hotels, a green area and open space and a 550 bed hospital. Teppratan mixed use precinct will be complete in 2021 with a total usable area of 1,000,000 sqm and total project value of 14b THB. This will also consist of the Queen Sirikit National Convention Centre Phase 2 with usable area of 200,000 sqm. Benchakitti Forest Park will be further developed and completed in 2020. The park will have an estimated 30,400 trees when finished. Comprising 73% of green area, 17% innovation zone, 7% sport zone and 3% art zone, the forest park will attract residents and visitors from around Bangkok. FYI Center and Modena by Fraser has already been completed. With a usable area of 100,000 sqm and a project value of 5b THB, the FYI Centre consists of 2 class A buildings of 11 floors each with usable area of 90,000 sqm. The Modena by Fraser is a 4-star hotel with 14 floors and 239 rooms. 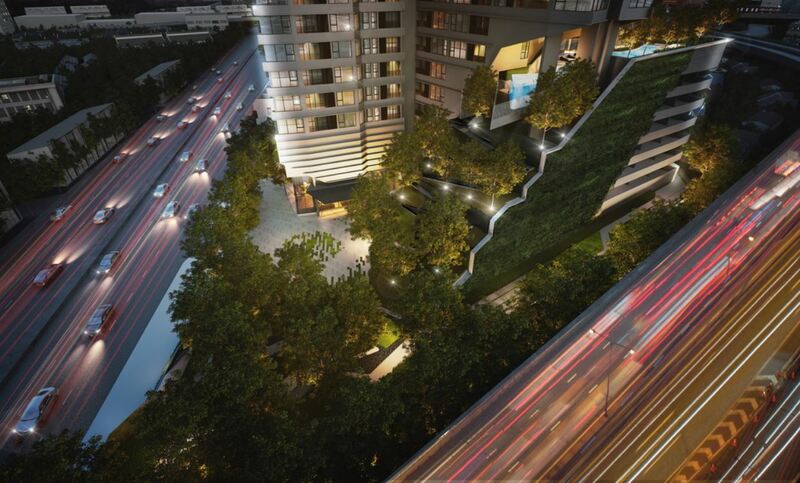 The EmDistrict is slated to complete in 2020 and is positioned as the Epicenter of Sukhumvit. At a total usable area of 650,000 sqm and total project value of 20b THB, the district will consist of the Emporium, the EmQuartier, the EmSphere, Bhiraj Tower @ Emquartier, 3 5-star hotels with 1,742 rooms and the Park 24 Condominium with 837 units. To the East of Ideo Mobi Rama 4 is the view of the city, while to the North is the CBD of Asoke, Ploenchit and Benchakiti Park. To the south is a view of the Bangkachao river and Sathorn and Suanlum to the West. All units come with a 270 degree corner window, panoramic window and freestanding bathtub. All units come with a digital door lock, auto washlet, rain shower, bath tub (except studio and some 1 bedroom units), air-conditioner and ceramic hob.